Your ancestors called it magic... but you call it science. I come from a land where they are one and the same. The distance between the realm of Asgard and the rock we call Earth is pretty vast, but that’s nothing compared to what Thor tries to cover in 114 minutes. With so many larger than life concepts to cover, the thunder it creates is a bit muted at times but still makes for one hell of a 'BOOM'. The All-Father, Odin has done much from the throne of Asgard, but one of his grandest achievements; the peace between his people and a race of frost giants is starting to unravel before his eyes. Hot-headed and over-confident, his first born Thor takes matters into his own hands – putting the life's of all Asgardians at risk. 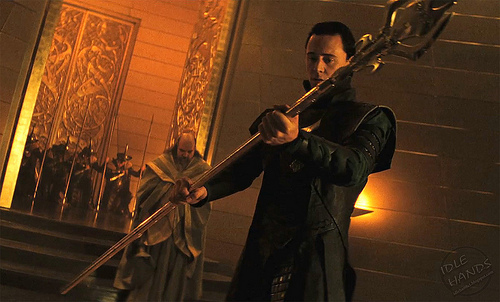 Enraged at how his hopeful successor could be so naive and foolish, Odin banishes Thor here to Midgard, for a lesson in humility and understanding. Taxed by these events, Odin falls into the Odinsleep and Thor’s step-brother Loki, seizes the opportunity to claim the throne for himself. While the forces of Asgard do not bow easily, few can imagine their hopes of salvation lie in the hands of Jane Foster, an earthen scientist whose spirit holds the lessons which are key to Thor’s return. A massive undertaking to bring from the printed page, let alone Norse mythology, the visuals of Thor are outstanding - and definitely worthy of the 3D treatment. The mythological elements have all been redesigned to a point where Thor truly flies, you'll never look at the Destroyer the same again, and concepts like the Rainbow Bridge and Loki's devil-horned headgear are laughing matters no longer. Underneath such a hat, Tom Hiddleston wickedly nails the sly trickster to a tee. Not surprising, considering what a lightning rod this movie has been for talented actors. Anthony Hopkins effortlessly conveys the authority and grandeur expected of Odin and Idris Elba stamps his mark all over the position of Hemidall, Guardian of the Bifrost Bridge. The stunner of the cast, in more ways than one, has to be Natalie Portman. The nuances and life she brings to a human character like Jane Foster in a cast of immortals, proves she is one of Hollywoods most under-rated talents. Other roles sadly come of a little rough in comparison and time, and I wonder if it would've been better leaving The Warriors Three for upcoming sequels - even though Lady Sif's battle with the Destroyer is a minute and a half of solid awesome. For The Avengers movie maniacs, Thor isn’t the only one to debut in this film. His path to reclaim his hammer Mjolnir puts him in the sights of another of 'Earth’s Mightiest' and the post-credits sequence moves the on-screen formation of Marvel's current hit team a little closer to that of their comic book origins. 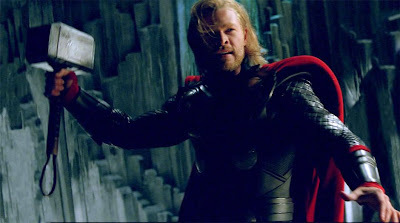 So all said and done, will Thor do for the Odinson what Iron Man did for the armoured avenger? Sadly, I don’t think so. But is it worthy enough to lift your wallet high enough to pay for a ticket or three? Darn right. I'm eager to see it! we've got another week here. Trying to figure out a WHEN to take my oldest to see this, but next weekend is Mother's Day and all and my lovely wife has zero interest. . .
Maybe a midnight opening. THat'd be OK for a 13-year-old who has school the next day, right!? Ha! ya know folks i'm looking forward to seeing this too but i'm trying not to get too caught up in the hype. TRON was kind of a let down and a couple of summers ago we had a whole slue of sci-fi/comic book bombs. G.I.Joe was the worst followed by Transformers 2. i was also pretty disappointed with Star Trek (except for the casting) and Terminator 4 wasn't bad but could have been better. and by the way just recently Skyline turned out to be a huge box office bomb! but from what i've heard Battle L.A. was probably worth seeing but i just never got around to it. Things have been pretty grim on just about every front, sci-fi, nostalgic TV tie-ins, and even horror. I have seen it Dave and surprisingly enough I thought I'd go back and see it this weekend, but I didn't. Definitely want to hear what the rest of you think though! Doug I'm sure teachers will make an exception for Thor - consider it history or even religious cultural studies! All valid grounds I say! yeah i have to agree with you Dan on pretty much everything you said here. i don't think it was quite as good as Iron Man or even the Hulk (Ed Norton) but i was still a little better then the X-Men trilogy and light years better then the FF movies. but as you can see in Iron Man, the Hulk and Thor they are all connected with an under current of common themes like S.H.I.E.L.D. now only if Capt. 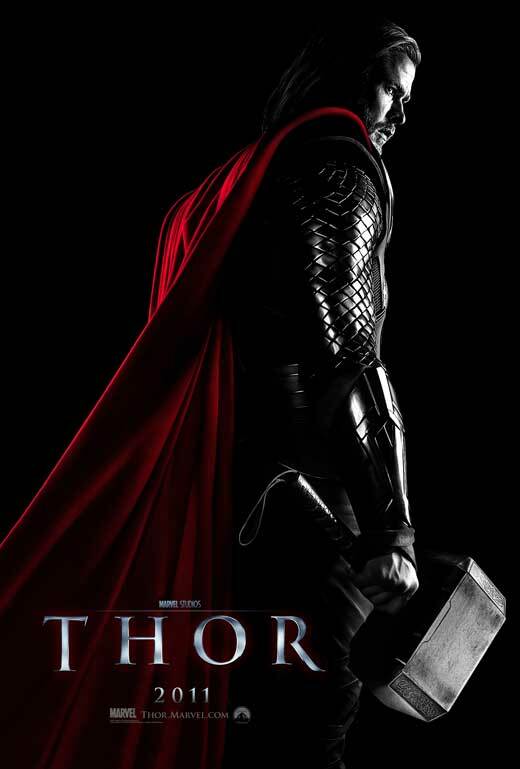 America turns out to be at least as good as THOR they will have put together a pretty good lead up to The Avengers. by the way, speaking of which we also got to see what i am pretty sure was Hawkeye in THOR as well. Thanks for that Dave - yip Clint did put his best foot forward in the movie, along with quite a few Thor creative faces (You did spot Stan Lee, J. Michael Straczynski, Walter Simonson and Louise Simonson didn't you?). What happened to him after that one scene though still has me scratching my head.